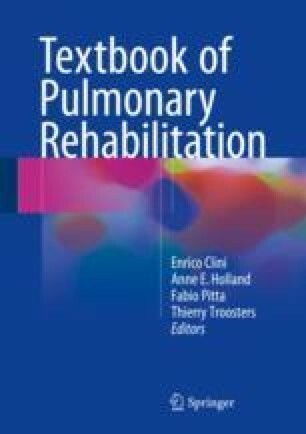 Although chronic obstructive pulmonary disease (COPD) is defined by the presence of chronic airflow limitation, it is considered a complex, heterogeneous, and multicomponent disease. The heterogeneity and complexity is seen in the pulmonary expression of the disease, ranging from chronic bronchitis without emphysema to emphysema without bronchitis, in the presence or absence of exacerbations, in the differential diagnosis with asthma, but also in comorbidities and extrapulmonary manifestations, which have important contributions to disease expression, disease burden, and survival. From the global strategy for the diagnosis, management and prevention of COPD, global initiative for chronic obstructive lung disease (GOLD) 2017. http://goldcopd.org.